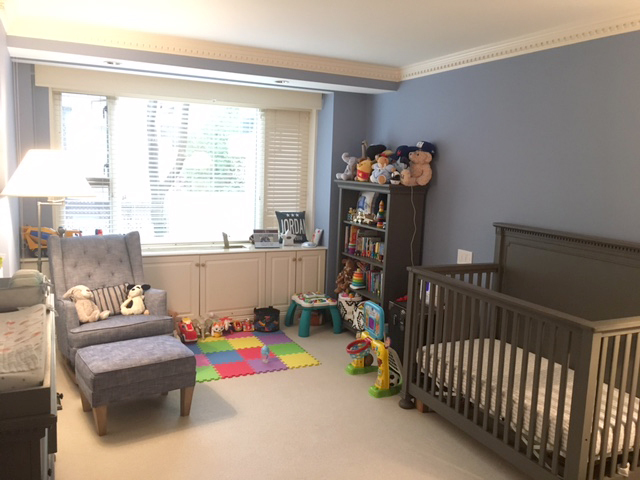 A grand, beautiful oversized 5 room home with 2 Master Bedrooms, plus Library or 3 Bedrooms in the heart of the East Side. 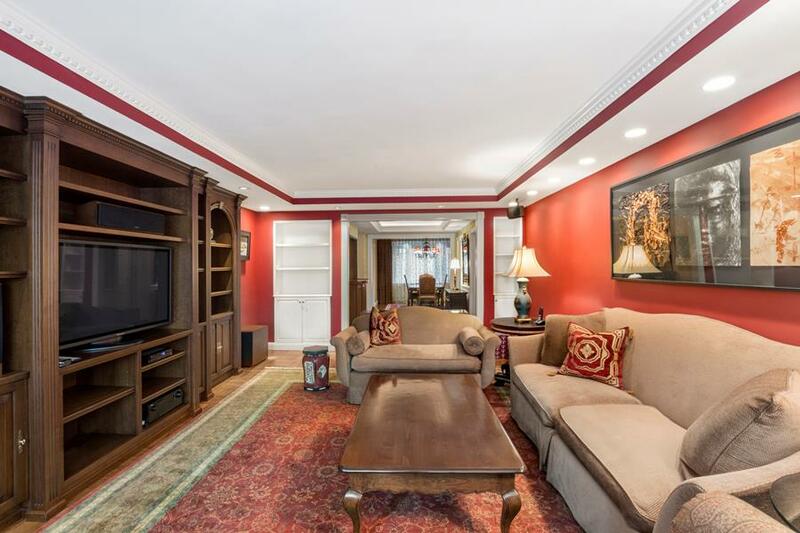 This spacious renovated apartment boasts large, graciously proportioned rooms with exceptional details. 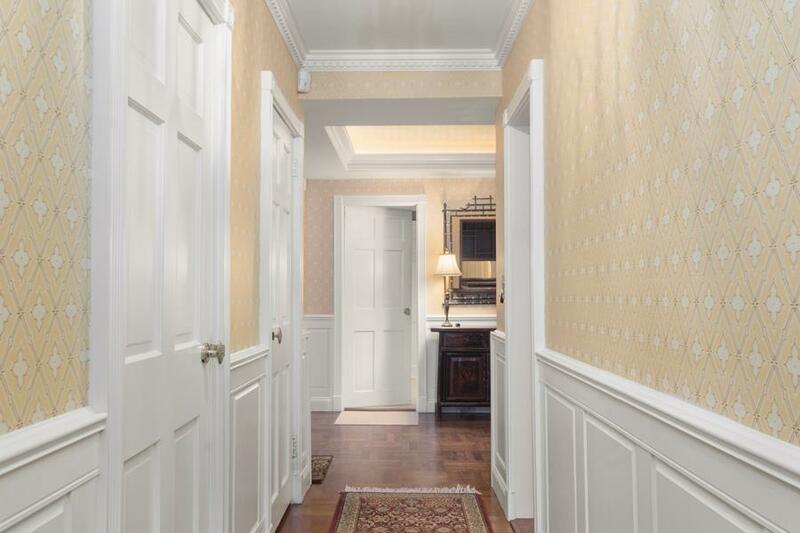 Enter down a long Entry Hall with wainscoting panels into a Grand Foyer with cove lighting, a painted ceiling and a gorgeous mahogany Bar/Entertaining Space with wine fridge, which can also be made into an Office. The oversized Living Room has eastern exposures from large double pane windows with a charming window seat, an entertainment center, built-in bookshelves and speakers. 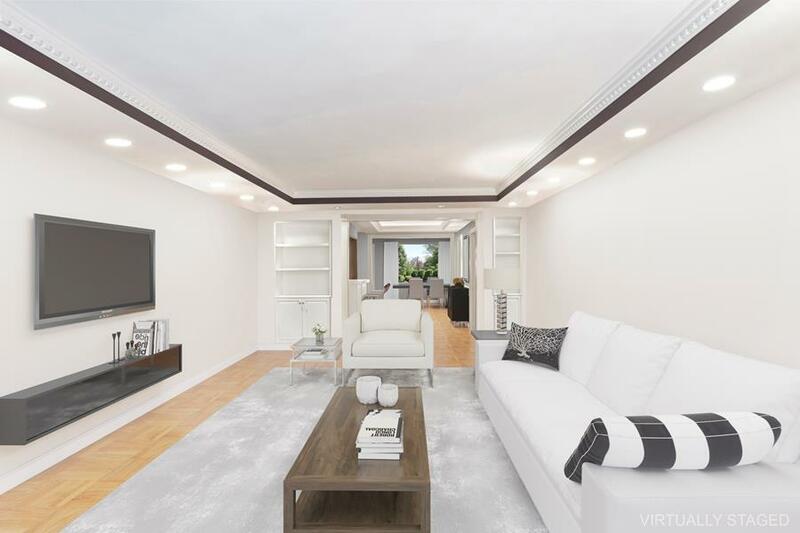 To the west is the Formal Dining Room, creating an impressive span of 48' from one end of the home to the other, easily convertible to a 3rd Bedroom or Library. 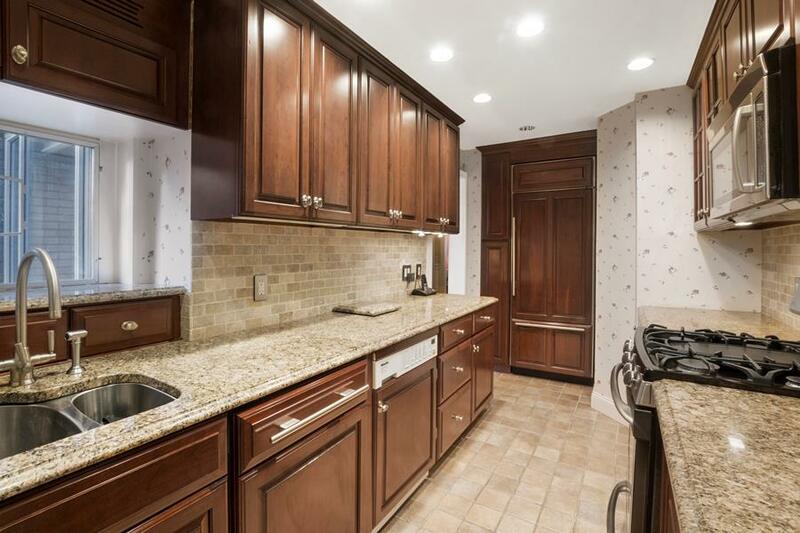 The renovated windowed Kitchen has custom cherry wood cabinets, granite counter-tops, a Sub-Zero Refrigerator, Miele dishwasher and W/D. The oversized Master Bedroom features 3 large closets, a Dressing Area and an ensuite marble Bathroom with dressing table. 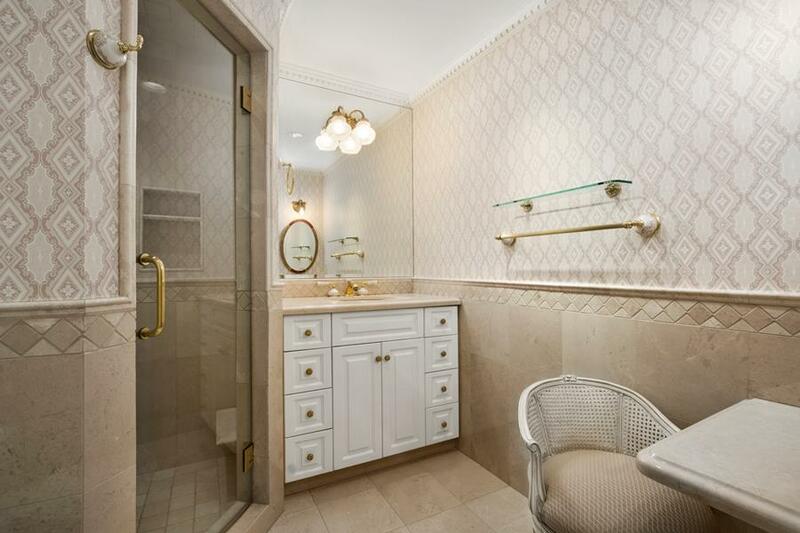 The second generous Bedroom is off its own hallway and includes a renovated marble Guest Bath. 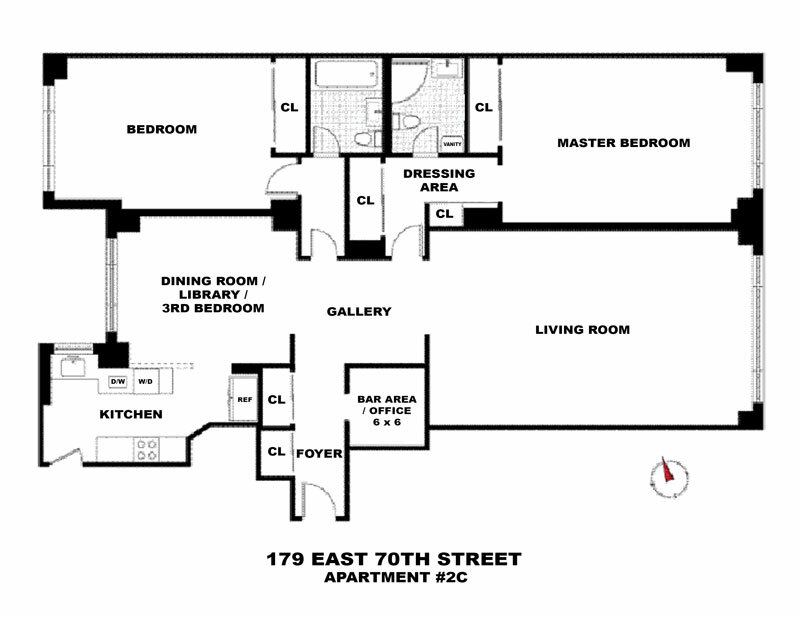 179 East 70th Street was built as a Cooperative in 1958 and is a distinguished and intimate Full-Service building. An exceptional staff, 24-hour Doormen, a Live-In Resident Manager and Porters that provide impeccable service. 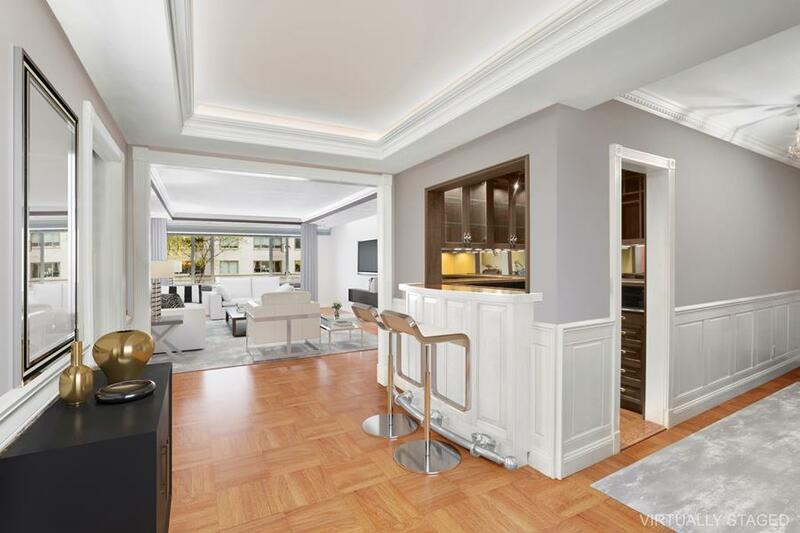 The building offers a new Fitness Center, two Elevators and Private Storage Space, Dogs under 30 lbs. permitted.